I’m about to introduce you to something you’ve probably never had. Introducing Tye Dye KoolAid Pie. 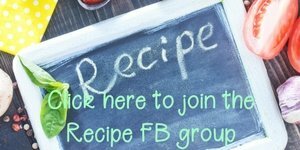 This recipe is amazing in so many ways! I felt like it was the perfect summer recipe for picnics or for just enjoying as a family. I have had a lot of pies over the years, but this is one of my favorites! 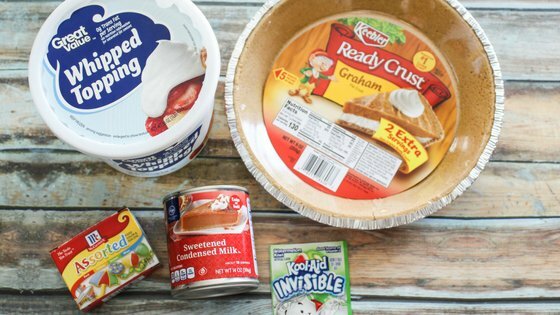 My kids and I have always loved pie. It’s quick, easy, and a fun way to enjoy a treat. 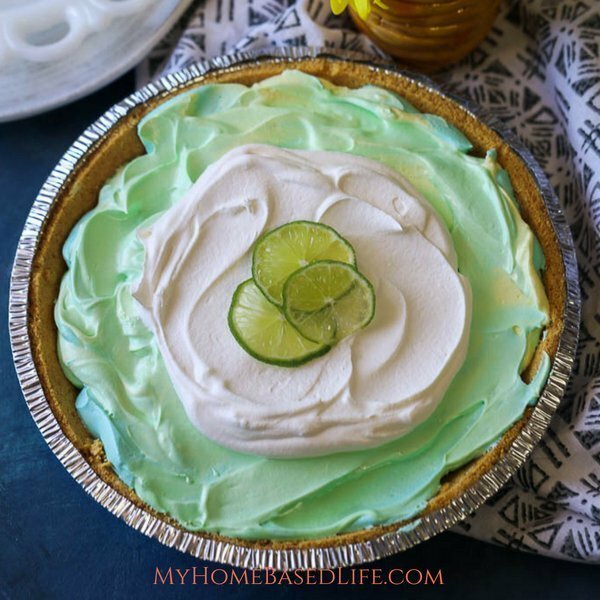 My favorite part of this pie is the colors! I’ve never seen a pie actually turn out like this, love it. Tye Dye has always been a fun way to make things more exciting. Imagine how fun those tye dye shirts are, this pie is equally fun. Now, put this on the calendar and make it with the kids, you will be their hero. 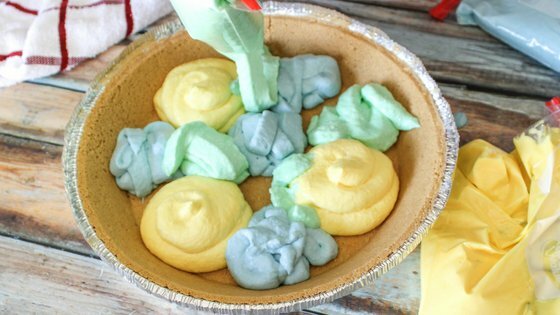 This Tye-Dye KoolAid Pie works great with Easter and Earth day as well! 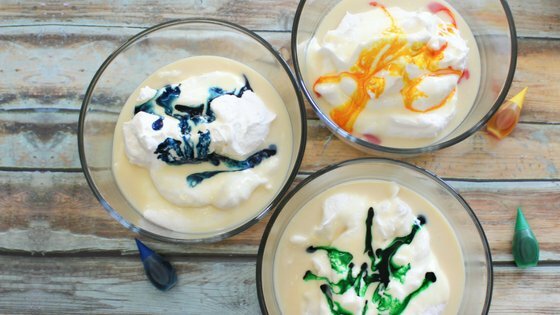 Add about 10-12 drops of blue, green and yellow food coloring to each bowl. One color per bowl. You can use any colors you want really. Once mixed well put each color into a piping bag (or ziplock bag with the tip cut off). Start putting each color all over the crust, rotating colors and overlapping each. Smooth the top out. Place in the freezer to set up for approximately an hour. The perfect summer recipe for picnics or for just enjoying as a family. 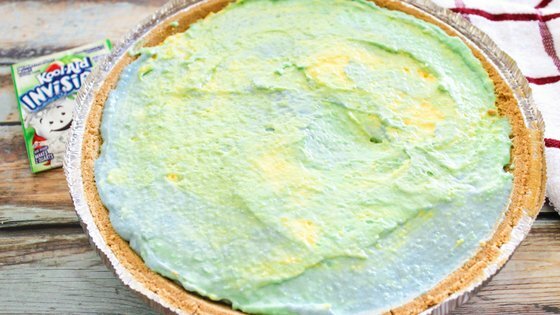 This Tye-Dye KoolAid Pie works great with Easter and Earth Day as well! 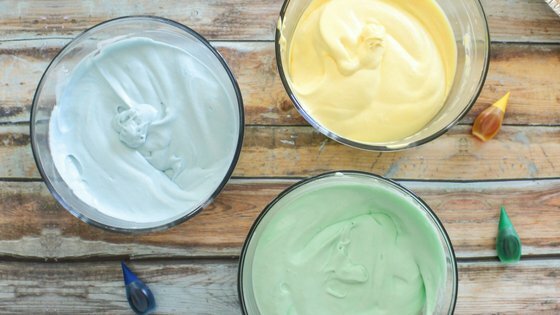 Add about 10-12 drops of blue, green and yellow food coloring to each bowl. One color per bowl. I love to cook especially simple recipes that seems like you put alto into them. This is such a great idea! I love how you made this so simple to follow, and you can do this with so many colors! Red, white and blue could be cool for the Fourth! I think I’ll have to try it! This recipe looks so delightful and it so simple to make. I am sure that all my nieces and nephews will definitely like it. That is a cute pie. I know my niece and nephews would love this. 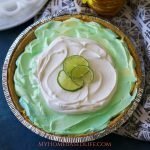 What a fun pie! I bet it would be a great recipe to make with kids and they could enjoy it after they make it. 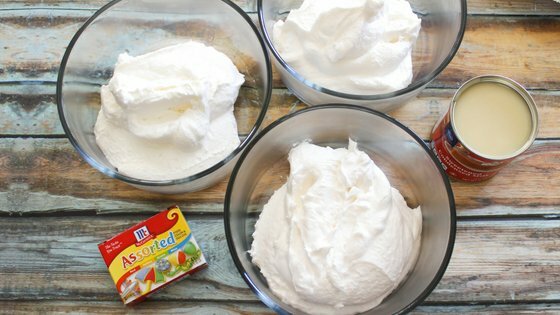 What a fun and easy dessert recipe! My kids would love this: making it and eating it!